Jindal says that spending multiple weeks on the campaign trail might be too great a sacrifice for his family. 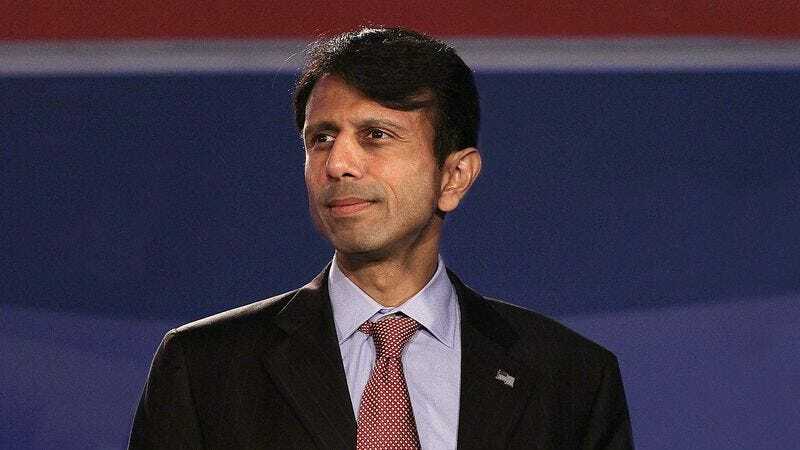 BATON ROUGE, LA—Citing the intense pressures and scrutiny placed on political candidates and the people in their lives, Louisiana governor Bobby Jindal announced Tuesday that he’s not sure he wants to put his family through the rigors of a two-month presidential campaign. The 43-year-old former congressman told reporters that while his wife and three young children are tremendously supportive of his political ambitions, he recognizes that a relentless six-to-eight-week run for the White House would be hard on them nonetheless. The second-term governor went on to state that if he seeks the GOP nomination, the Jindal family “might as well forget about” planning a summer vacation any sooner than mid-August. Though Jindal stressed that while he personally had no qualms about enduring the extreme media attention, he admitted that he hated the thought of subjecting his wife and kids to the harsh glare of the public spotlight for a couple of news cycles. According to Jindal, they would have to steel themselves in preparation for a demanding campaign that would take their husband and father all the way through Iowa, a fair amount of South Carolina, and maybe a couple counties in New Hampshire. The prospective candidate confirmed he would not throw his hat in the ring without first sitting down with his family for a long, soul-searching discussion of any concerns they might have about watching him run for upwards of 50 or even 55 days, and likely missing such major milestones as his children’s first day of school this year, their second day of school, and possibly even the remainder of their first week of school.